From the author of The Veteran's Survival Guide, The Veteran's PTSD Handbook addresses the obstacles that veterans face when filing for benefits related to post-traumatic stress disorder (PTSD). One of the greatest obstacles, John Roche writes, is establishing a connection between a veteran's service and PTSD. 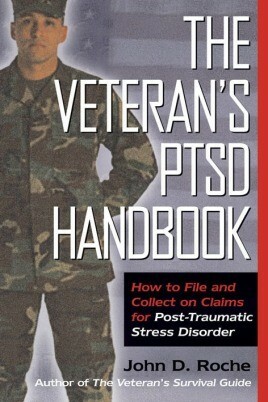 Unfortunately, due to sales rights restrictions, we cannot offer The Veteran's PTSD Handbook for sale in your country. From the author of The Veteran’s Survival Guide, The Veteran’s PTSD Handbook addresses the obstacles that veterans face when filing for benefits related to post-traumatic stress disorder (PTSD). One of the greatest obstacles, John Roche writes, is establishing a connection between a veteran’s service and PTSD. Because both combat stressors and noncombat stressors can cause PTSD and because of the difficulties in diagnosing the condition, filing a successful claim for benefits based on PTSD is difficult. In the same accessible, self-help style used in The Veteran’s Survival Guide, Roche offers detailed instructions on how to prepare a well-grounded claim for veterans’ benefits relating to PTSD. He also discusses the four years he spent helping one veteran establish a “service connection” for his PTSD claim with Veterans Affairs. This book will be required reading for any veteran or veteran’s dependent who wishes to obtain his or her well-earned benefits and for those officials of veterans’ service organizations who assist veterans with their claims.